The family activity holiday specialist, Activities Abroad, provides the perfect holiday for families, with authentic experiences being the key to its success. The new 11-night self-drive Amazing New York: State and City Explorer itinerary combines the Hudson Valley, Washington County, Adirondack State Park and the Catskills Mountains with the bright lights of the Big Apple. There will be guided hiking, cycling and kayaking, visits to apple farms and creameries to sample the state’s best chocolate milk, a ride on a traditional paddle steamer, Revolutionary War battlefields visit and time to explore the region’s forested shorelines. The cost is from £2,675 pp including transfers, 11 nights’ lodge/hotel accommodation, 10 days’ SUV car hire and transfer from New York City, nine breakfasts, two lunches, three dinners, activities listed and qualified guides and instructors. Flights extra. Departs 28 July & 11 August 2017. Spend February half-term exploring Finnish Lapland’s magical wilderness on the new The Best of Kuusamo short break. Set amongst fragrant pine forests, frozen lakes and snowy plains, activities include sledging under starlit skies, ice fishing, meeting huskies, a husky safari, a reindeer farm visit, reindeer sleigh ride, a sledge-pulled snowmobile safari and one visit to the Angry Birds Activity Park. The cost is from £1,255 pp (adults) and £755 pp (children aged 4-14), including flights (London), transfers, four nights’ half-board hotel accommodation with indoor pool, all activities, transfers and all cold-weather clothing. Departs 11 February 2017. Based on São Miguel Island in the Azores, just a 3.5-hour flight from the UK, the new, action-packed Lava Lands and Dolphin Swimming in the Azores trip includes whale watching, kayaking, canyoning and snorkelling with dolphins. Visit volcanic Lake Furnas and the Terra Nostra Botanical Garden, relax in hot springs and explore a lava tunnel. The cost is from £1,325 pp (adults), £895 pp (children aged 8-12) and £1,185 pp (children aged 13-18) including flights (London), transfers, seven nights’ B&B accommodation, activities, five lunches, two dinners, guided activities and instructors. Departures from April - August 2017. This new seven-night Gorges du Verdon Adventure self-drive holiday is based in France’s spectacular Alpes-de-Haute-Provence region – the perfect natural adventure playground for families. Stay a short drive from the 700 metre-deep Gorge du Verdon – the biggest canyon in Europe – which is an impressive backdrop for activities such as canyoning, white-water rafting, hiking and climbing. Alternatively, cycle amongst lavender fields, explore stunning villages and swim in the turquoise-blue Lac de Sainte-Croix. The cost is from £775 pp (minimum age 12), including seven nights’ B&B and two dinners. Departs May, July & August 2017. Planned specifically for families with children aged four to eight years old, this new trip - Croatia’s Young Family Island Adventure - is based on the unspoilt Elaphiti islands, located to the north-west of Dubrovnik. Guests will stay in the traditional Dalmatian fishing village of Šipanska Luka in Šipan - the largest of the archipelago of 13 islands - on the shores of the Adriatic Sea. Aside from exploring quiet bays and sampling the local seafood, activities include kayaking to neighbouring islands, cycling, a treasure hunt on Lopud Island and an excursion to the historic walled city of Dubrovnik. The cost is from £875 pp (adults) and £795 pp (children aged 4-11), including flights (London), transfers, seven nights’ B&B and some other meals. Departs April, July & August 2017. Enjoy a fun-filled fortnight on Activities Abroad’s new South Africa Family Adventure. Explore Cape Point and Cape Town’s Table Mountain, go on a river safari cruise on the St. Lucia Estuary, experience thrilling game drives and safaris at Amakhosi Safari Lodge, visit a Cheetah care sanctuary, enjoy an exciting guided night bush walk, visit a traditional Zulu village and snorkel in the crystal-clear waters of Kosi Bay. The cost is from £2,165 pp (adults) and £1,965 pp (children aged 8-11), including transfers, 14 nights’ hotel/camp/lodge accommodation, some meals, guided activities and instructors. Flights extra. Departs 22 July & 5 August 2017. The new week-long Magical Madeiran Adventure combines a myriad of activities. Based in the capital Funchal, island activities include whale and dolphin watching, visit Sao Vicente’s volcanic caves, swim in the lava-formed saltwater pools of Porto Moniz, take a boat trip along the coast to Machico and explore the nature reserve of Baia d’Abra. There is also dolphin snorkelling, sea kayaking, a Jeep tour of Madeira’s mountains, valleys and striking fauna and flora, plus a trek through the emerald green forests of Pico das Pedras. The cost is from £1,175 pp (adults) and £815 pp (children aged 8-11) including flights (London), transfers, seven nights’ B&B, five lunches, two dinners, guided activities and instructors. Departs April, May, July, August and October 2017. Based on the outskirts of Keswick, this new self-drive Lake District Family Adventure encompasses a multitude of adventurous activities in the Borrowdale Valley and Derwentwater Lake - one of the film locations for the recent Swallows and Amazons film. Activity options include mountain walking, climbing, ghyll scrambling, abseiling, canoeing, sailing and a visit to a slate mine. The cost is from £435 pp (adults) and £295 pp (children aged 8-13), including four nights’ B&B accommodation and all other meals. Departures from 1 April – 22 August. With new Easter departures added in 2017, The Best of Borneo is an 11-night itinerary based in and around Kota Kinabalu. See proboscis monkeys, sun bears and orangutans in their respective sanctuaries combined with tropical rainforest treks, boat trips and a jungle night walk. Head to the Gomantong Caves, home to swifts and some 27 species of bat, and try zip wiring, white-water rafting and scuba diving. The cost is from £2,495 pp (adults and children aged 10 +) including transfers, 11 nights’ luxury hotel/lodge B&B accommodation, most other meals, guided activities and instructors. Flights extra. Departs April, July & August 2017. 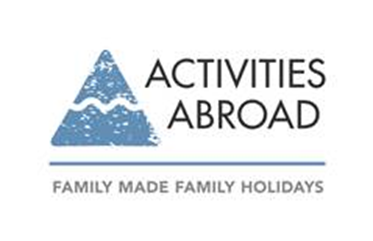 To speak to an expert for more information, or to book an authentic family holiday, contact Activities Abroad on 01670 789 991 (www.activitiesabroad.com). Note to editors: Part of The Artisan Travel Company, award-winning Activities Abroad specialises in family travel and experiences for all the family to enjoy together. It is a sister company to holiday experts Artisan Travel and Northern Lights specialists The Aurora Zone.